The United Nations Conference on Climate Change is happening now, and is an opportune time to learn about climate change. During the conference, happening from November 30- December 11, world leaders will meet with the goal of coming to an agreement on how to combat climate change. 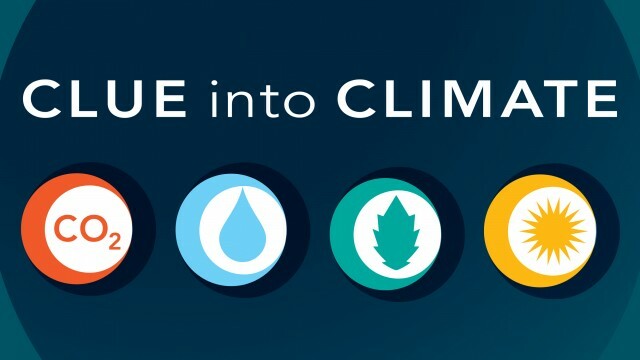 Check out our climate resource collection in PBS LearningMedia or find our climate resources organized and updated in a series of e-books which help explain the science behind climate change. Also check out The Lowdown’s curated list of multimedia resources for teaching about climate change. Clue into Climate: A Digital Media-Based Curriculum Unit on Climate Change was created with input from San Francisco Bay Area teachers and advisors. The curriculum unit is comprised of four content strands, each of which includes 5-7 media resources related to the strand topic. Each strand also contains a strand guide and assessment, a background article and 4-5 lesson plans that provide information and activities to support the use of the media with students. Additionally, the curriculum unit provides a student workbook and a climate education resource guide. Clue into Climate resources are aligned with the California State Science Content Standards for grades 4–8 as well as the Essential Principles of Climate Literacy and other national science standards. Sign up for a free PBS LearningMedia account to create media-rich learning experiences with trusted, quality, standards-aligned content.